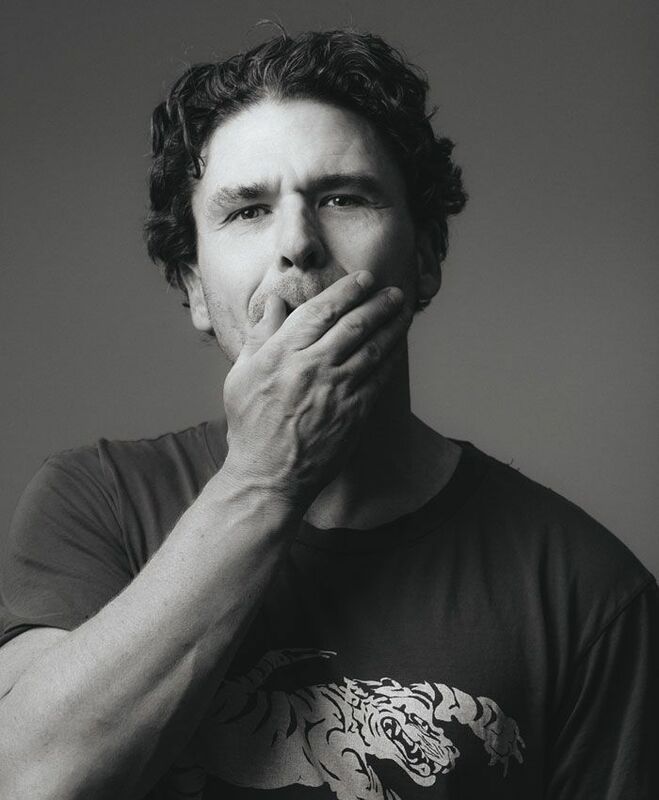 With the 2000 bestseller A Heartbreaking Work of Staggering Genius, Dave Eggers ignited the memoir craze of the early aughts that's still a large part of literary culture today. His publishing house, McSweeney's, continues to be a key player in a fiercely smart, always funny but never snobbish brand of writing. He is also shaping young minds with his nonprofit nationwide literacy project, 826 National. Personal OGs: Henry Louis Gates, Jr., Christo and Jeanne-Claude, Spike Jonze, Jonathan Demme, George Saunders, Shirin Neshat, Sam Shepard, Miranda July, Claire Denis, Gary Burden, Julie Delpy, Elvis Costello, Chris Abani, Aimee Mann, Michael Franti, Stanley Kubrick, Van Jones, Steven Soderbergh, Anna Deveare Smith, Doug Aitken, Wajahat Ali, Jim James, Haifaa al-Mansour, Joseph Gordon-Levitt, Chuck Lightning, Thao Nguyen, Chinaka Hodge. I saw a picture the other day of me when I was sixteen and I had a zit on my nose so big the photo looked embossed. It caught the light like a small moon. I used to have to go to a dermatologist who would inject these zits with an enormous needle -- it was the only way to kill them. That gives you an idea of the kind of teenager I was. I had a couple rough years. I've always thought that if you can make a living doing what you like to do, you're successful. If you get to do it again, that's very lucky. Persistence is its own reward. I remember one time in Seattle, we were doing a benefit show for our nonprofit there, 826 Seattle. I was wearing a sweater, and didn't realize that during the show a big hole had opened up at the elbow. After the show, while we were signing books in the lobby, a woman said she could sew the hole then and there -- she had brought her knitting needles to the show! So while we sat there signing books and chatting, she sewed the elbow of my sweater. The yarn doesn't quite match -- the sweater's brown and the yarn is red -- but I still have it and wear it and cherish it.